Traditional change management follows a linear approach, defining a goal, identifying a plan and delivering to that plan. The process is logical and surely unquestionable. However this is an example of linear thinking, which is rarely the appropriate way to consider complex conservation problems. Ecosystems, landscapes, habitats, communities, species, populations do not act in a linear fashion, they are much more complex. This means that if you change one thing then something unexpected is likely to happen somewhere else – and what you had intended may or may not happen. Of course understanding systems can be a difficult thing to do. Instead, managers either resort to ‘giving their view’ on things, or setting success measures based on those views. Having a view on why things are a problem is one thing, but it is better to get knowledge by collecting data (Deming 1993; Seddon 2005). Purpose is the definition of why we are here, best understood from the species or ecosystem perspective. Measures allow us to understand what is likely to happen in future if the system (including human community interactions, commercial industrial or agricultural land use, wildlife trade etc) doesn’t change. Method – can be addressed when we understand the data derived from our measures. Manatee deaths due to watercraft collisions in Florida. 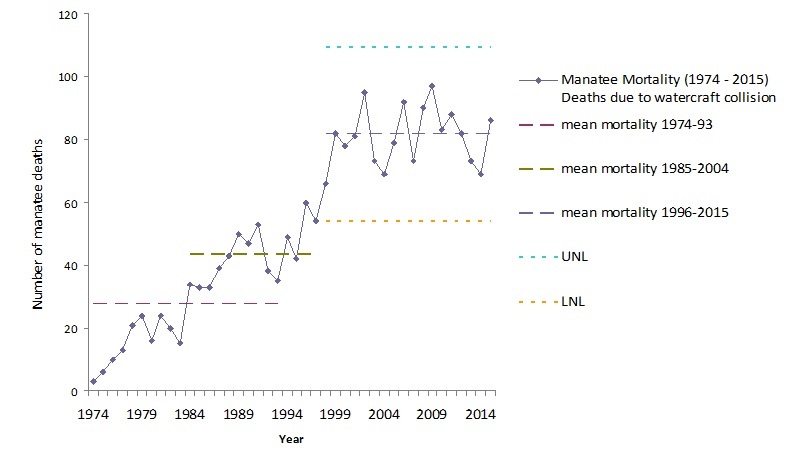 Knowing the occurrence level (Measure) can we do anything (Method) to reduce unnecessary mortality of manatees (Purpose)? Systems Theory tells us that Purpose, Measures and Method are fundamentally linked – it is a systemic relationship. This systemic relationship can either work for you or against you depending on how you set things up. The paradox is that in this system, change requires no plan. For Seddon, change is simply an emergent property. It can only occur if you set things up that enable people to innovate with interventions in response to the real system of species and ecosystems – what happens. Any attempt to plan change otherwise is fiction. Seddon, J. (2005). Freedom from Command and Control. Buckingham: Vanguard Press.